Enhancing home entrances throughout Maryland. Driveway design and installation is a service offered by East Coast Landscape Design to our customers in Bethesda, Columbia, Kensington, Gaithersburg, and throughout the Washington, DC metro area. Accurate engineering and planning are essential for any well-constructed driveway, and at East Coast Landscape Design, we have skilled, trained engineers to assist in the design of your driveway. From proper soil compaction to structural support construction, we make sure your driveway will be virtually maintenance free in all types of Washington, DC, weather. Critical to this process is setting the grade and slope for water run-off, preparing the soil at the driveway location, and knowing the load factor of the vehicles that use the driveway. 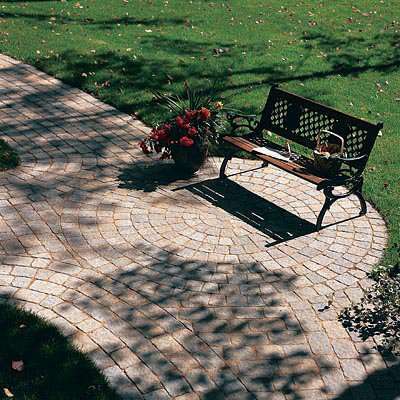 East Coast Landscape Design will review the different materials available, including, Interlocking Pavers, Cobblestone Bricks, Cobblestone Granite and more.